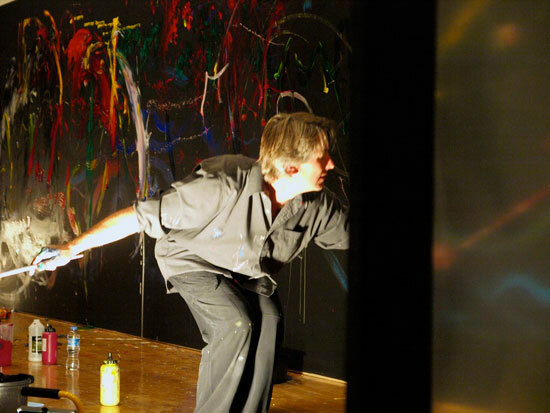 Emmanuel Lorien Spinelli Toys and Sounds via Laptop. 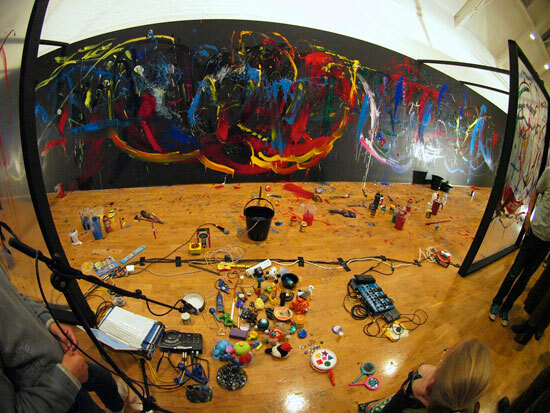 Improvisation lasting One Hour with layering of sounds via Violin, Laptop and sounds of Painting with miked up stretched Polyurethane and buckets of water. 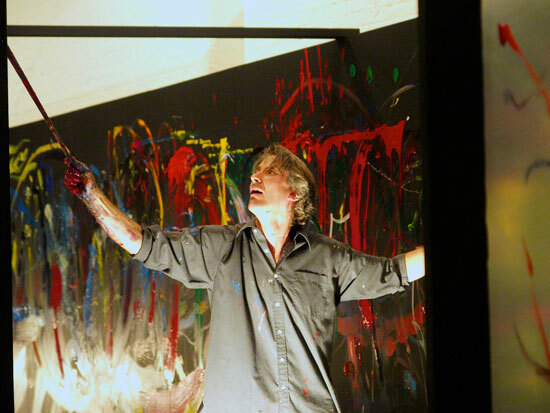 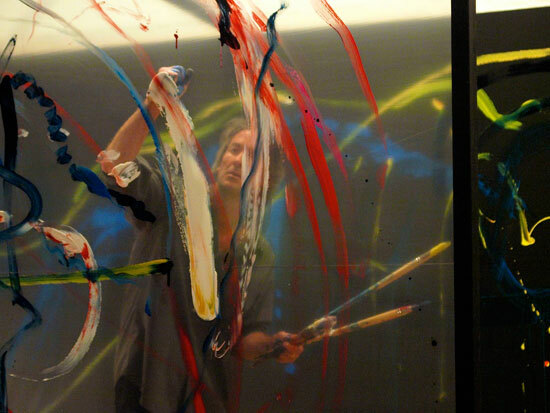 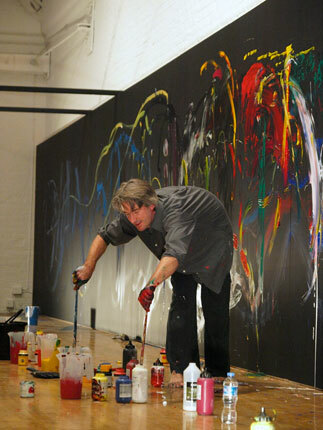 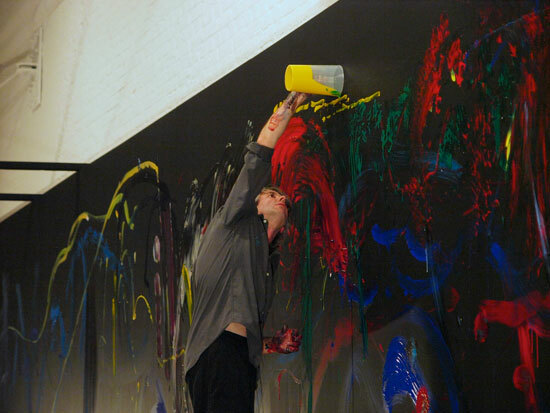 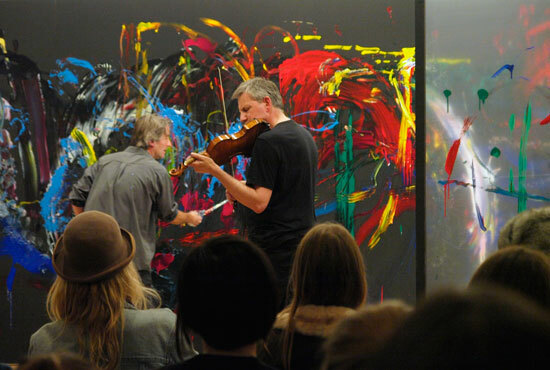 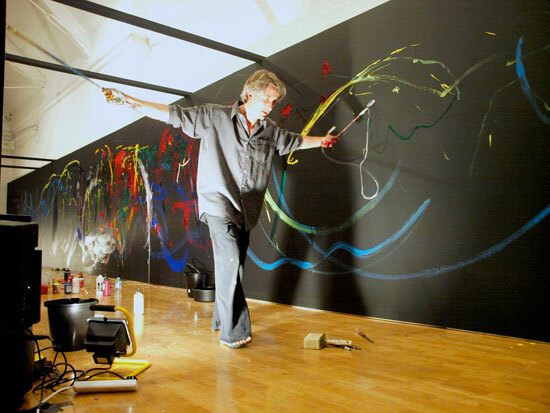 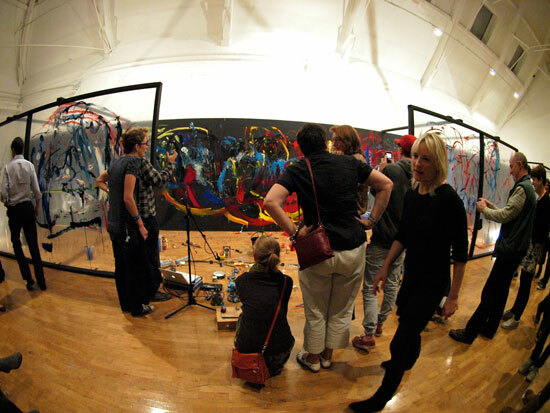 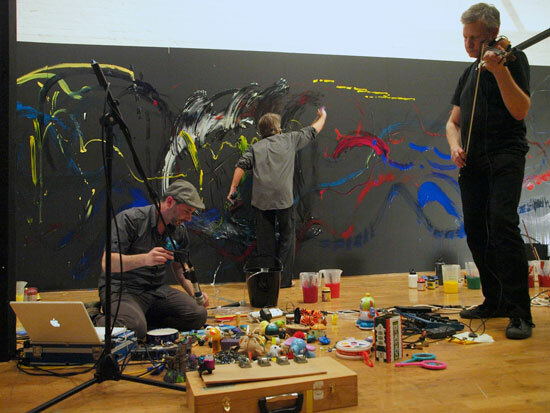 Performance Painting by Rowan-Hull via improvisation and layering sounds with Roger Redgate and Emmanuel Lorien Spinelli.